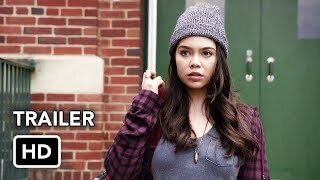 Rise 1×10 “Opening Night” Season 1 Episode 10 Promo (Season Finale) – SEASON FINALE. During opening night of “Spring Awakening” personal crises and dilemmas percolate in the wings backstage as Simon (Ted Sutherland) struggles to overcome his biggest fear, Lilette (Auli’i Cravalho) withholds a huge development from Robbie (Damon J. Gillespie), Robbie has a momentous breakthrough, and Tracey (Rosie Perez) draws a line in the sand. Over the course of one evening, decisions are made that will change Lou (Josh Radnor) and Stanton Drama forever.